The concert started at 09:00 PM, 1 hour behind the scheduled time. Really annoying actually. 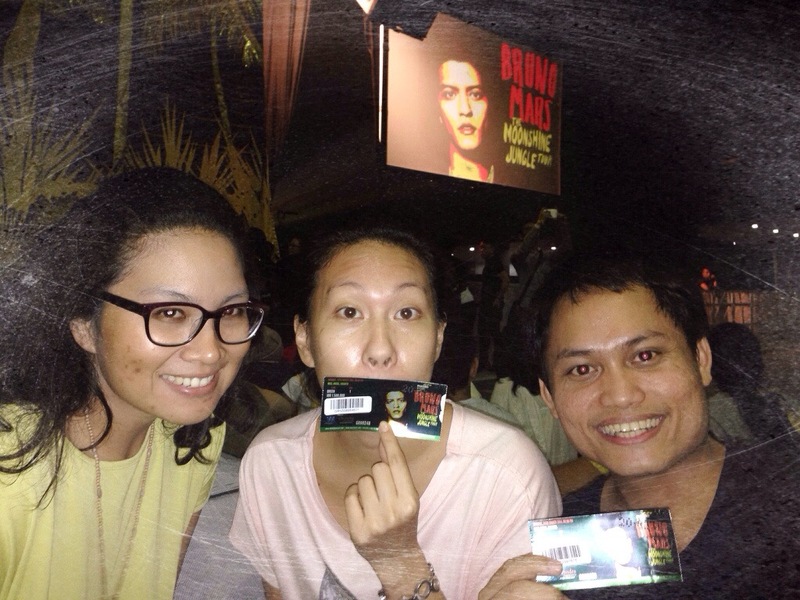 When Bruno sang his first song, Moonshine, the crowd suddenly went crazy especially those in the festival area. They jumped and called Bruno’s name. Along the concert, the crowd never stop sang all the songs. It seems they already tried very hard to memorize all the lyrics in several days back. Overall compare to the last year’s concert, this one is great. The sound is really good and the promotor knows what they must to do. Bruno Mars sang several songs from his latest album, Unorthodox Jukebox, and first album, Doo-Wops & Hooligans. Moonshine was the opening song followed by Natalie, Treasure, Billionaire, Lazy, Count on Me, When I Was Your Man, Grenade, Just the Way You Are. And his last song the encore was Locked Out of Heaven. 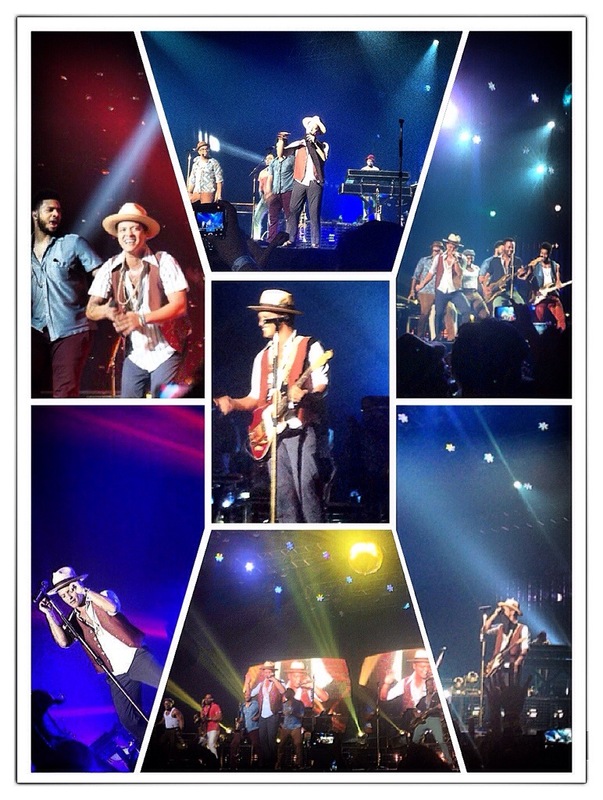 Bruno and his hooligan band gave their all-out performance on the stage and the audience really enjoyed it.